with this "blanket" blocking out light, would it also block out heat automatically, and would heat be dampened slightly as well? Let's assume for a second that heat would be dampened. Would it be so sparse that the world would be struck by an ice age, or would places that are today tropical simply become dry and cold? there are types of plant life which survive with little light, correct? Would humans be able to survive in a world like this? (I assume it would become apocalyptic as farming would become extremely difficult, and most plant life would have to be grown under artificial lighting). Edit: just so that you have an idea of how dim light on Earth would be, the sky's brightest point would be an inky blue, as if we were only ever an hour or so away from sunrise. Nights would have no stars or moon. Eliminating 50% of visible light with no change in infrared or ultraviolet produces Snowball Earth, with ice extending to the equator. Temporarily. As has been mentioned, visible light accounts for 44% of solar energy. Eliminating half of this, which would only be slightly noticeable in terms of brightness, cuts the total energy by 22%. Since black-body emission will produce an equilibrium temperature proportional to the 4th root of energy, average temperature drops by 6%. Current average temperature is about 290 K, so the new temperature is 272.5 K, or just below freezing. This alone will cause an ice age of a sort not seen in recent geologic times. During the past million years or so, the worst deviation from current temperatures was about 9 K, and this would be twice that. To make matters worse, current temperatures are greatly above the temperature indicated by simple absorption/radiation (about 33 K more), and the cause is greenhouse gasses. The dominant greenhouse gas is (no, not CO2) water vapor. With most of the water vapor precipitated out of the atmosphere by the low temperatures, you can expect at least another 15 K drop in average temperature. And, of course, all this ice will increase the earth's albedo, dropping temperature even more. All of this is temporary, though. With the oceans frozen solid and no land life, there is no mechanism for sequestering CO2 produced by volcanic eruptions, so it will build up. At some point the greenhouse effect of this CO2, combined with the reduced albedo caused by dust emitted by eruptions will raise the temperature high enough to melt ice, and a positive feedback cycle will raise the temperature even more. At this point, the question becomes one of the persistence of plant life in the ocean. If even a small population remains, they will spread explosively and begin reducing the CO2 to oxygen. It is an open question whether the resulting situation would produce a stable equilibrium or an oscillation between hot and cold. Alternatively, if no such life has managed to hang on, the new greenhouse atmosphere will persist until life re-evolves. Since there has apparently been at least one Snowball Earth episode in the past, the survival of a remnant population seems likely. This is, of course, extrapolating from a single point, so the conclusion is hardly a strong one. You say that heat still touches the earth, but light is blocked. This is interesting because it might not cause what you think to happen. 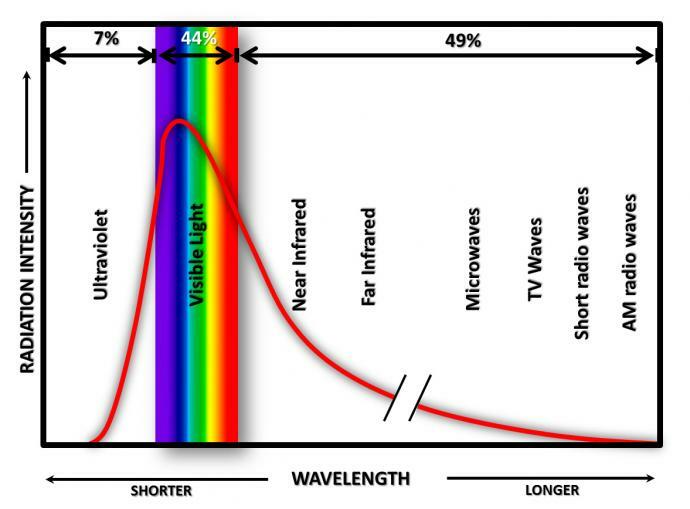 If we reinterpret your question to say that all visible light is going "under the shadow", then most of our radiation is in that band and we've got a reduction in the 44% of energy from the Sun coming our way, but the remainder is unaffected. That's a pretty big fall and you can understand what happens when radiation is blocked out by previous mass extinction events due to volcanic eruptions and asteroid impacts (e.g. the impact that wiped out the dinosaurs). If we get rid of 100% of visible light (not what you're asking and worst case, but useful to think about), we get a very severe nuclear winter, with less severe effects the more light you let in. Twilight probably implies about 30-50%, just guessing from angles, so that would still be quite severe. But that's not all that happens. There's also albedo to consider. The Earth reflects about 0.3 of what gets thrown at it. If the earth is covered in shadow, this can cause nuclear winter, which causes the world to get covered in snow and the albedo to go up and reflect even more light, causing temperatures to drop even further in the Snowball Effect. On the other hand, shadow is black and black is a very effective colour for absorbing radiation (albedo=0). You could actually end up with things getting warmer in the atmosphere by the presence of shadow as you nearly double the absorption of heat of the Earth (assuming your shadow is not just reflecting it away). That's not all, because we need to think about how and where things are reflected and absorbed. The atmosphere is good at absorbing some wavelengths of light, but not others, and the ground will absorb most light and reflect it at lower wavelengths. See this link: http://acmg.seas.harvard.edu/people/faculty/djj/book/bookchap7-14.gif for an idea of what the atmosphere absorbs on the way down. Mainly, it absorbs a lot of heat radiation (infrared). Mostly, visible light adds to the Greenhouse Effect and that is precisely what you're cutting out, which would lead to a huge drop in temperatures (assuming your shadow isn't absorbing light anyway). All of this leads to some very interesting weather effects if the atmosphere gets a lot warmer than the ground (which I am not qualified to talk about). Usually, we have weather patterns dominated by air close to the ground getting warmer, rising and then cooling, dropping down in other places (these places usually are our deserts). However, cutting out visible light would affect that greatly. No light leads to no heat, no heat leads to extreme cold. No light and extreme cold leads to no farming and no plants at all. That would be apocalyptic. Humans may survive this with lots of incandescent lightbulbs. This would provide more light to grow plants and heat. Solar power wouldn't work well, not that would matter much. The cold wouldn't be fun, and astronomy would slow because of clouds--oops, shadow covering the stars. In summary, this reminds me of The City of Ember. Not the answer you're looking for? Browse other questions tagged science-based magic earth or ask your own question. How would a planet react to a sudden weakening of its sun? What would happen to the moon if the Earth was captured by Jupiter? What if the earth was physically split in half? What if the earth was turned physically inside out? What would happen to Earth if the Moon was destroyed? What would happen if earth was centre of the universe? What would happen if Earth was being chipped away? What would happen if the earth was thrown into the interstellar medium?